You might think that you've heard about every diet on the planet; the Vegetarian diet, the Paleo diet, the Atkins diet, but have you heard of the Flexitarian diet? While this diet has been around since about 2003, many people still have not heard about it. We are going to explain what it is and how it can help you, so keep reading! The Flexitarian Diet is perfect for those who want to eat vegetarian, but can't cut out the occasional steak. Think of the Flexitarian diet as a marriage between vegetarianism and flexibility. This is the perfect diet for those who want to eat vegetarian, but can't bring themselves to cut out the occasional steak. Studies have found that Flexitarians weigh about 15 percent less than those who eat meat regularly. They also have a lower rate of cancer, a much lower rate of heart disease, and they even tend to live a bit longer- about 5 years on average. So You Simply Eat Less Meat? Kind of. Flexitarians, who sometimes call themselves Vegivores, like to say that they are "adding" foods to their diet, rather than removing them. For example, they talk about their "new meat" plan, which involves adding beans, peas, nuts, seeds, tofu, and eggs to their diet more often. For most flexitarians, they tend to use a 3-4-5 outline; which means breakfast should run about 300 calories, lunch about 400, dinner a nice 500 calories and two 150 calorie snacks. Of course, depending on your age, current weight, and activity level, 1500 calories might be too much, or too little, for your needs. Which is where the flexible part comes in. You can change things around to suit your needs. The Flexitarian diet is big on, no surprise, flexibility. You might find that you can eat very much as you have been; only that you swap the meat in your lasagna for squash or your BLT sandwich becomes an avocado, lettuce, and tomato sandwich instead. For almost everyone. 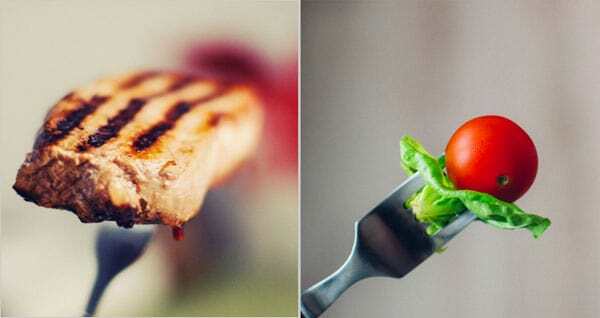 Vegetarians tend to eat fewer calories and weigh less than omnivores. When you focus on the plant aspect of this diet, you can't help but to lose extra pounds, without feeling deprived. What to eat is fairly simple; almost anything you have been eating you can still eat. The trick here is to substitute most meats with vegetables instead. You will also find that vegetables have very few calories, so you can eat much, much more than if you were using meat in a recipe. Level One - You start off having two days each week where you eat no meat. Not two meals, but two complete days. Level Two - You move up to 3 or 4 days of no meat meals. Level Three - You have 5 or 6 days of no meat meals. How fast you move from one level to the next is completely your choice. Don't feel badly if you move to level 2, only to find you ate meat one extra meal more than you had planned. Life happens! Try again next week! Keep in mind that the main idea here is to incorporate vegetables, and lots of them! So if your family always has pizza on Friday nights, that doesn't have to change! Simply exchange that sausage and pepperoni for olives, mushrooms, onions, green peppers, or pineapple! Dinner – Tofu mixed with 2 cups of mixed veggies, stir fried with a bit of peanut oil and pineapple juice. Toss in 1 cup of cooked rice and a side of green salad with veggies, if you like. Dessert – Frozen grapes or a cup of Mexican hot chocolate. For those non-vegetarian days, you could use the same menu, but add chicken to your stir fry instead of using tofu. Most people will find that this diet works really well for them. It is easy to cook or find something to eat when eating out, it is not expensive, and you don't have to learn to cook anything exotic or difficult. Almost every recipe you now use can be consumed on this diet, simply by swapping out the meat for vegetables.